Oris goes environmental this year, with a series of cool, eco-friendly dive watches. 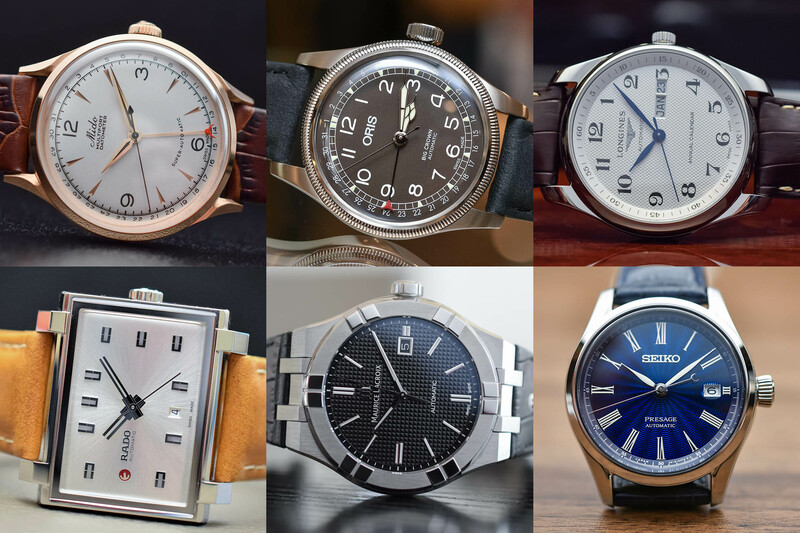 There’s no denying that Oris is good at creating tool watches. Last year’s theme for the brand was clearly the pilot’s watch, with several very nice introductions, such as the Big Crown Pointer Date. 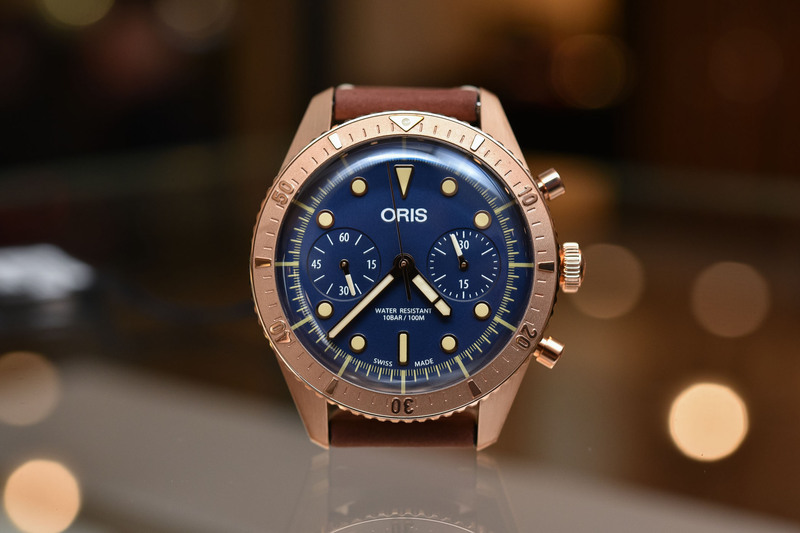 For Baselworld 2019, Oris goes back to another theme it masters – dive watches. And to add another layer of cool to the equation, Oris focuses on the environment with two important watches, as well as a rather unexpected two-tone Sixty-Five – which happens to be co-CEO Rolf Studer’s favourite of the show, as you’ll see in this video interview with him. Oris’ reputation is as solid as its robust and efficient dive watches. 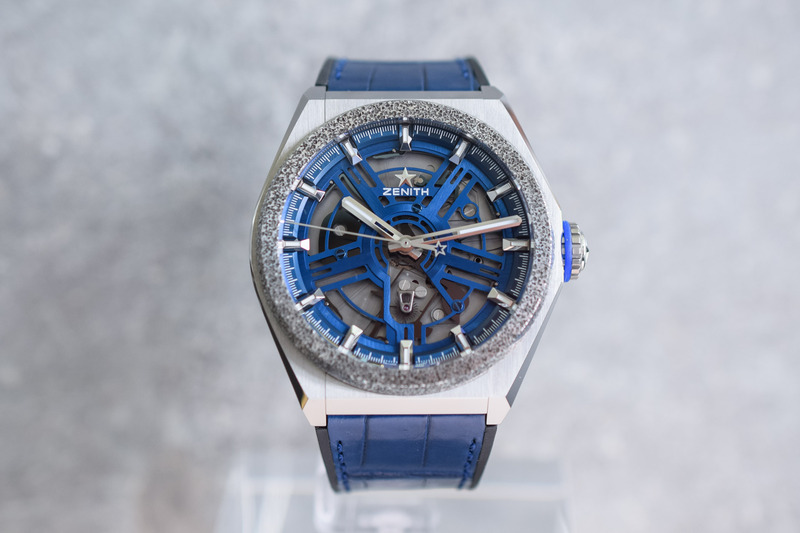 The collection includes a watch that needs no introduction anymore, the Aquis, which serves as a base for two interesting projects this year, both based on the environment and protection of the oceans. First is the Oris Clean Ocean. 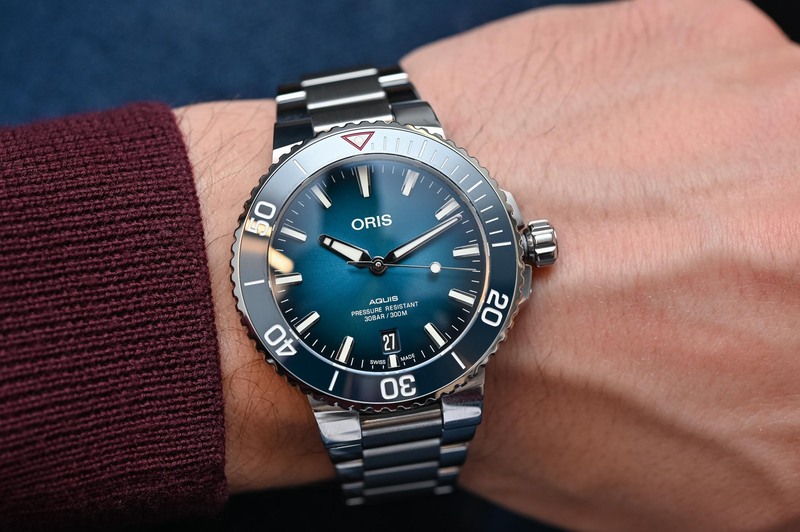 Based on the mid-size Aquis 39.5mm, it features a gradient blue dial and ceramic bezel, as well as a surprising caseback medallion made of recycled plastic… This watch was, in fact, created to promote Oris’ partnership with a pioneering conservation group determined to eliminate waste plastic from the ocean. 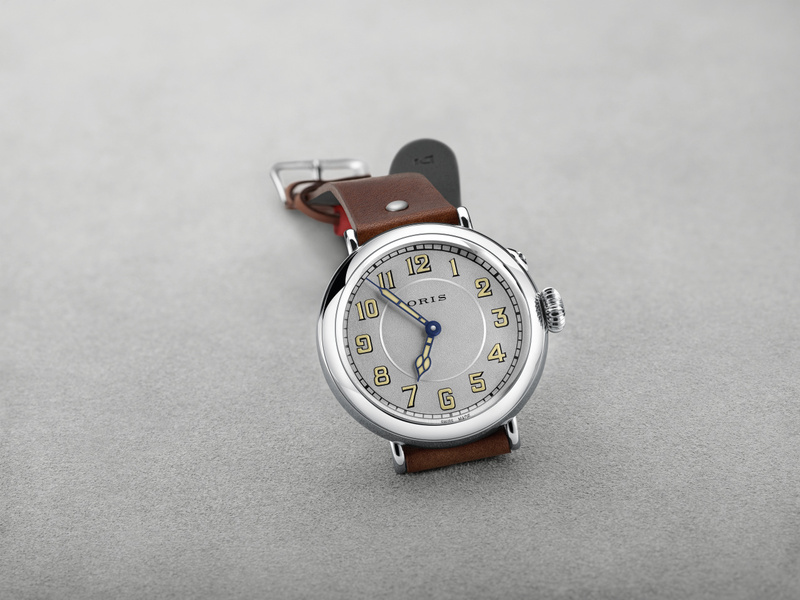 A nice, eco-friendly watch for a good cause, which will be produced in 2,000 pieces (retail price: CHF 2,200). Also explained in this video by Rolf Studer is the Oris Great Barrier Reef 3. As suggested by its name, this Limited Edition watch is the third watch Oris has linked to the world’s largest and most diverse reef system. To protect this fragile ecosystem, Oris has partnered with a non-profit social enterprise set up in 2016, the Reef Restoration Foundation. The result of this collaboration is a nice edition of the 43.5mm Aquis, with an aqua blue gradient dial and bezel and a pointer date positioned in the middle of the dial (limited to 2,000 pieces, retail price CHF 2,450). Last but not least, the other highlight of Baselworld 2019 for Oris is a cool two-tone edition of the Divers Sixty-Five. 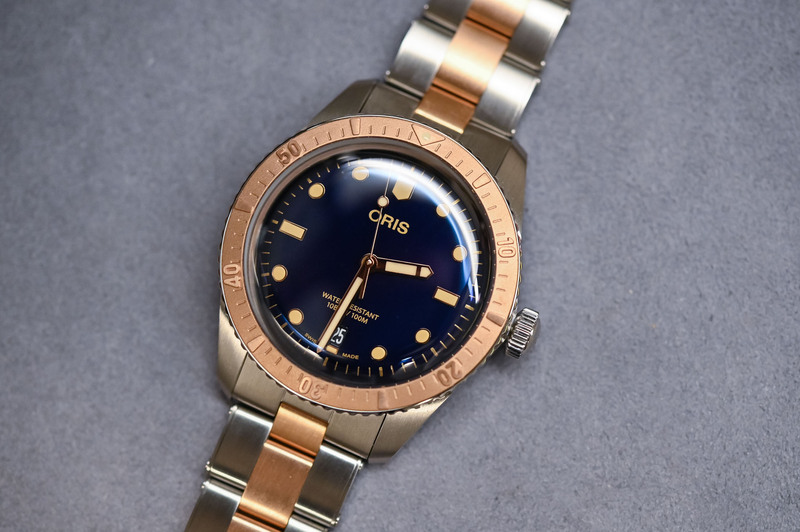 Bi-colour watches are hot again and Oris has chosen to do it in a surprising way, not with gold but with bronze, both for the bezel and the mid-links of the bracelet. Add to this a glossy blue dial and you end up with what might be one of the sexiest version of this watch (retail price CHF 2,200). 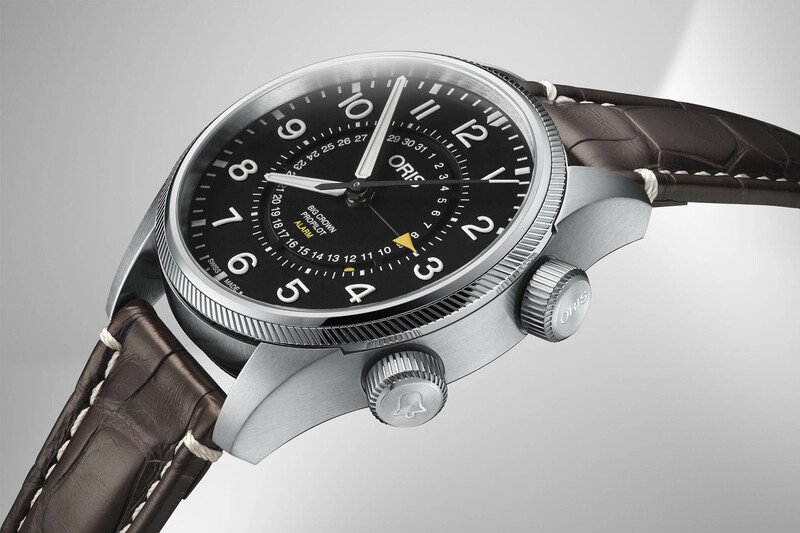 Oris is just a great, great watch company. There’s nothing to not love about them. Love my Oris watches. They are a cult watch.